Independent lab testing for edibles should be a thing, right? It’s almost become a rite of passage. Two friends try the same edible at a party. One of them flies to the moon; the other remains firmly grounded. That oft-told anecdote stems from a widely held perception that the world of edibles is an unregulated “wild, wild west,” as more than one cannabis expert describes it. To help consumers overcome that hurdle, edibles companies such as botanicaSEATTLE are not just asking consumers to take their word for the consistent dosage of their products. They’re getting their edibles tested at accredited labs—and publicizing the test results as a marketing advantage. The first thing that catches one’s eye with botanicaSEATTLE’s original Spot line, for instance, isn’t the brand name. It’s a large number 5 or 10 to indicate the THC milligrams in the edible (10 mg is the max per serving allowed in Washington for recreational use). Increasingly, the wild, wild west of cannabis testing is coming under the rule of law. States aren’t leaving it up to manufacturers to decide whether and how to test—they’re legislating testing requirements. Since July 1, California retailers can only sell edibles tested in state-licensed labs. California isn’t alone. Other states that have legalized recreational marijuana—including Colorado, Massachusetts and Nevada—require that independent, accredited labs test cannabis products. States insist that those labs test for the potency and homogeneity of cannabinoids like THC and CBD—so that a product’s THC level, for example, correlates with the label and that it’s consistent across an entire batch of the product. Labs also must test for pesticides, solvents, moisture content and microbial contaminants, among other components. Failed results can mean producers must relabel a product to reflect its actual dosage or, in the case of pesticides, destroy the entire batch. “States’ lab testing requirements have been increasing over time,” says Lori Glauser, co-founder and chief operating officer at Evio Labs in Las Vegas. Evio Labs itself reflects that change. It started with one lab in Oregon in 2015. Three years later, it now serves hundreds of clients at its 11 labs in Oregon, California, Colorado, Florida, Massachusetts and Canada. With no federal guidelines or standards for edibles, much less for testing them, labs like Evio and Lightscale have turned to the global standards established by ISO (International Organization for Standardization). Third-party auditors, such A2LA, provide labs with ISO accreditation. Getting an ISO accreditation means the labs have the necessary quality controls in place, such as proper record storage and adequately trained staff, to ensure the integrity and quality of their data results. In California, the ISO-certified lab Cannalysis has aimed to carve out its place in the testing arena by focusing on scientific integrity—for example, eliminating manual data entry to avoid input error. 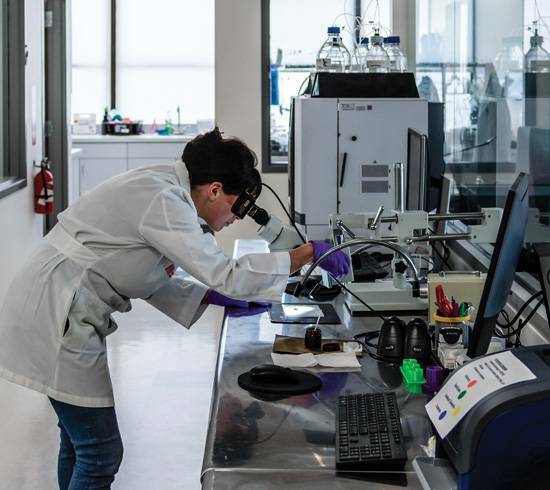 As California’s Bureau of Cannabis Control and other state regulators require more testing and documentation, “we’ll see a larger presence of technology and testing labs with a tech niche,” says Swetha Kaul, chief scientific officer for Cannalysis. The fact that states are increasingly adopting testing regulations promises that consumers will have more reliable products and experiences. But the situation is far from settled. For one thing, regulations vary state to state. While California and Washington have a THC limit of 10 milligrams per serving, for example, in Oregon it’s half that. For another, it’s still in the early days for testing—and the requirements within each state keep shifting. Last year, Oregon changed its testing batch size from 10 to 15 pounds. Then there’s the fact that edibles can be very tricky subjects to test. “Testing edibles is quite complex,” Glauser says. Gummies, for example, are notoriously difficult. Globules of cannabis oil disperse throughout the candy, making it hard to get a consistent test sample. Even products that are relatively easy to test, like brownies, pose their own challenges. A lab can test the dosage of one brownie—but not every brownie in every batch. “It’s difficult to make an industrial-size tray of brownies and have them all be the same exact, correct dose,” Ouellette says. While testing regulations determine potency and components, they could have another unintended effect—namely, the kinds of edibles that are made at all, according to Glauser. Prior to testing regulations, Evio Labs saw a wide range of infused products, everything from pizza to ice cream sandwiches. Now that regulations mandate consistency, she sees manufacturers sticking more to products, such as cookies, that can be more thoroughly and easily mixed to ensure consistent dosages. While edibles manufacturers are compelled to test their products, makers of hemp products like CBD oils are not. Hemp product makers like Bluebird Botanicals and CV Sciences say they’re testing their products because it’s good service and good business. in San Diego. Through both its in-house lab and a third-party organization, CV Sciences tests for potency and contaminants. While it’s the right thing to do, testing hemp products might soon be the legal thing to do as well. Like cannabis, heroin and LSD, hemp has a Schedule I status as a federally controlled substance. Yet that looks likely to change if, as expected, the 2018 Farm Bill passes. Hemp, which has far lower levels of THC than marijuana, would be treated as a crop—and regulated as a food. of mind, we’re showing would-be regulators we’re on top of the situation. “If the Farm Bill passes,” he adds, “our industry will get a lot bigger and a lot more attention and scrutiny will be paid to us, which is a good thing.” Greater attention and scrutiny to edibles—and to testing them—is quickly becoming the new reality. As California goes, so too will others. Though states like Massachusetts and Nevada already have testing rules, California, given the size of its market, most likely will lead the way with testing standards, according to Lori Glauser of Evio Labs. “As often is the case, once California makes its mark in regulation, it will set the standard for a lot of other states to go by,” she says. California requires, for instance, testing edibles for 66 pesticides.